The main things you’ll hear about Heart of Thorns is specializations and masteries. Everyone wants to know what the expansion means for their characters, some of which have had three years of love and affection put into them. Fine. You can read about that in a hundred other places (especially the official profession forums)… but what hit me after playing the expansion for a week is that: Guild Wars 2 just had a revolution. Guild Wars 2: Heart of Thorns is available here. I’ve spend most of my expansion time in Verdant Brink, the first new zone. The word “zone” is borderline insulting to what is so gigantic, it feels like a planet. 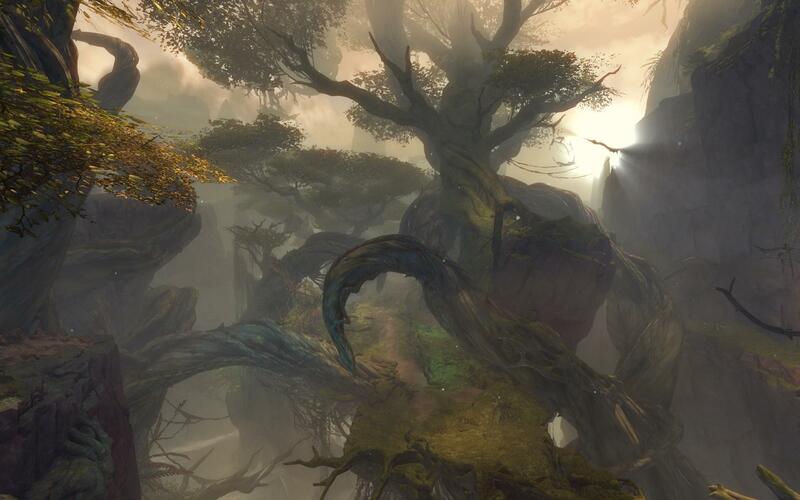 It’s the verticality that does it: ArenaNet have been talking about “biomes”, which is their jargon for layers of similar environment on a massive scale. The surface layer alone has mountains and valleys, but the earth is torn open and it’s possible to descend into an abyssal layer of sheer walls and wind columns. It’s those wind columns that facilitate the primary form of transport down here: gliding. Imagine a subterranean Grand Canyon and you’re about there. If this is beginning to sound more like a world of extreme adventure sports than sword and sorcery then I would have to say, it’s both. Exploration is a huge part of Heart of Thorns, much like it is in a Zelda or Metroid game. 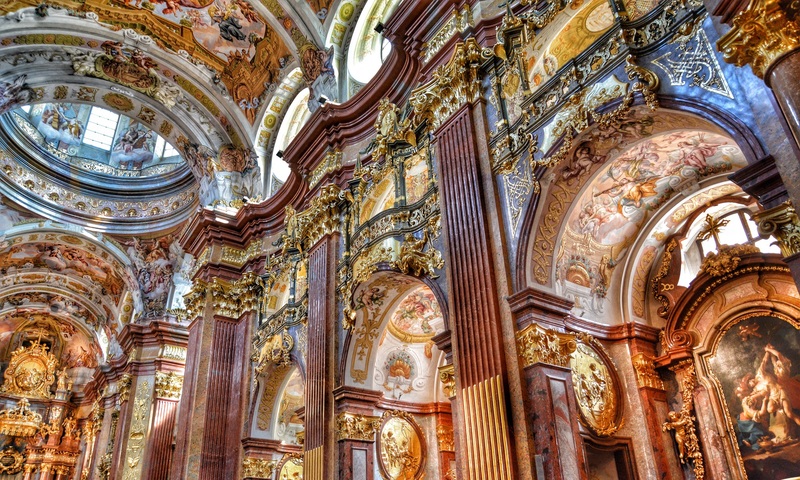 You could spend hours here just exploring and marvelling at the outrageously gorgeous art. Once you get up into the canopy layer, there is a wonderful trap of thinking you’re at the top of the world, but you’re not. You’re at the bottom of the top. To get to the top of the top, you go on an aerial adventure into the skies and witness breathtaking views and fight massive bosses. The last time I had this kind of fun was in Mario 64 gliding around with the wing cap. It’s the kind of feeling I used to get from single player games that had this magical quality, yet here I am in a massively multiplayer game, online, having that same experience. About time! There’s always a bad side, right? Everyone wants to know the pitfalls because nothing’s perfect. Keep in mind that it’s not possible to make a perfect game when I say, I hate not having all the masteries unlocked from the start. But wait, this is a good thing. Masteries are the abilities you need to have all the powers to do stuff, and that sense of frustration is what makes me look forward to earning those abilities. This is just the same as it was in all those single player games and it adds a lot to the long-term sense of accomplishment. I had to highlight this because when you have an old character who has everything mastered from the old content, it hurts the pride to have a sense of “newness” again. Boy did that sting. Masteries make a lot of the exploration possible, so I still have that good frustration about… things that are yet to come. Progress you make on your masteries apply to your whole account, so be warned that this experience of newness will only be possible once. If you want to savour it then do so, because I’ve seen people blitz through and I shudder to think what they missed. Heart of Thorns can easily be played very very casually and masteries attained over many weeks or months to suit your pace. It really is a case of do it your own way. The other thing I should mention is the difficulty, combined with the state of various classes. I’ve been to various boss fights in the sky and seen people getting 1-shot by so much as a sideways glance. At this stage I’d urge most people to try a balanced setup over a high damage, low survivability setup, because rolling your face over the keyboard doesn’t cut it any more. I also have my concerns that the thief/daredevil isn’t up to much next to dreadnoughts like reapers, druids and dragonhunters… well, pretty much all the other classes. It’s almost like, because they have stealth, thieves have have scant ability to keep themselves alive outside of that one mechanic and “be a daredevil!” isn’t a fair way to address that. Just Tell Me, is it Worth It? If you have the money to spare, absolutely. You will get hours and hours and hours… on and on and on… out of this expansion. It’s big enough that you can cherry pick the bits you want and forget the rest and still have gotten a whole load out of it. If all you want to do is play the new World vs World zone, you don’t even need to buy the expansion anyway! The story, as much of it that I’ve played, is told in a much better style than in the core game. I’ve been going up to story characters and interacting with them, and they’ll just have a conversation right there in the open world that only you will hear on your client. There’s a jarring sense of immersion there, and I say jarring because the way it used to be was so violent in they way it went “ok, now here is a cut-scene”. The new way is seamless, the voice acting is pretty good, and the story is pretty good: good enough to write an article on, with characters deep enough to write yet another article on. Canach is my favourite at this point, a long standing anti-hero… well, villain really. Villain turned anti-hero. I’m mostly sure he’s on our side, anyway. The relationship he has with his mistress Countess Anise is a delight of verbal jousting and Anise herself is… deliciously complicated. 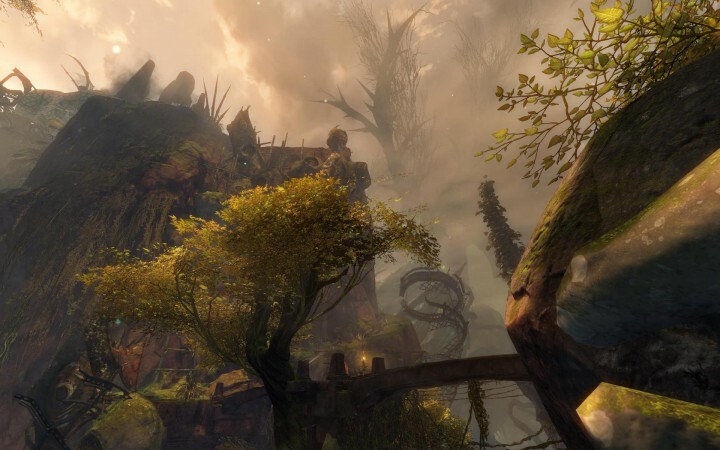 The gameplay in Guild Wars 2 is greatly expanded upon by Heart of Thorns. Gameplay is the meat and drink of a game, or it should be, and I can see lasting value here. Much of the long term value comes in collections as much as completing masteries; the world has many secrets and they will take a long time to find without resorting to a guide. There are some side-games that will also take time to master, and they’re ok. The side games are pretty much as you’d expect, nice little diversions that are a bit of fun, as you’d find in all the great single player games and the standard is comparable. I’ve been playing the Guild Wars franchise for over 10 years and I’m happy to promote it to other people. This a very good review of Guild Wars and very informative as well. I am a huge fan of video games and I like play MMOs from time to time as well. 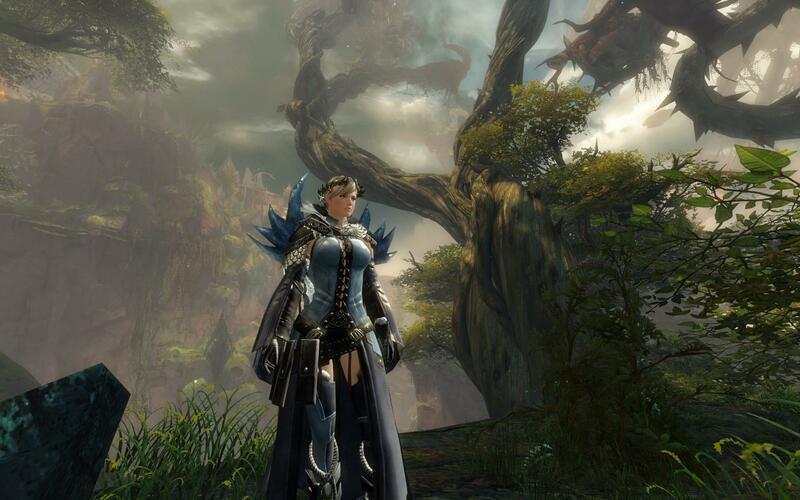 While I have never played Guild Wars, I am tempted to start because this game looks amazing. Thank you for a excellent review. You’re welcome Kevin. There’s a free-to-play client you can download from the main Guild Wars 2 website if you want to give it a spin. Also right now in GW2 it’s the Super Adventure Box Festival until April 19th. The graphics on this look absolutely fantastic! I actually love Guild Wars but haven’t played it for a good 2 years at least! I know the answer is probably pretty obvious, but has it changed as much as it seems to have? For the better, obviously. It does look bloody marvellous. May actually have to get back into it again. You’ve inspired me haha! ArenaNet’s environment team is phenomenal and they pulled out all the stops in Heart of Thorns. 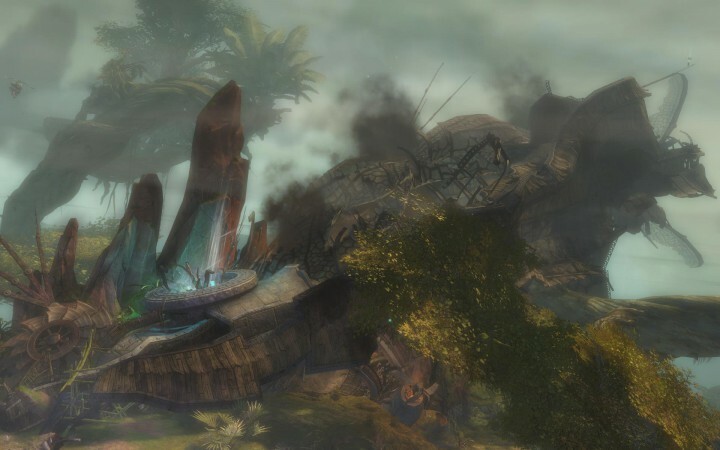 They added gliding to it and to the core regions of Tyria, so enjoying the art is even more fun than ever. I do have my share of bugbears but they are far, far outweighed by the good stuff. Great post as it almost made me feel as if I were in the game without actually having played it yet. The graphics look amazing and there seems to be almost endless possibilities in the gaming world with the graphics and creators of these master pieces. Great work as you definitely have a fan in me as I will be back to see what else you have to write about in the future. Thanks and yes, the artists over at ArenaNet made some real masterpieces this time around. Daniel Dociu is the name that comes to mind and his concepts are breathtaking. I knew it was about games when I saw the animation. thinks out music, most youth today respond to things like that. I’m not a gamer but even when I hear music I tend to hang out just because. I didn’t notice any content on what gameres, lingo and know hows. it’s always a good thing to explain because your teaching another generation about what was it in this day and time. Wow so Im trying to figure out what exactly is this site about? But i understand this post is about heart of thrones, which looks fun as heck by the way! What consoles do they come on It kind of looks like kindom hearts which i havent actually seen in quite some time. Hi there, I absolutely love open would games, specially epic ones that involves this mystic atmosphere. I really like it because they are simply a would of art. Everywhere you look it is like you are immersed in a painting. If the graphics where not enough, we also have the rich history behind each character. It is like being part in a movie that is taking place in a masterpiece of art. I need to buy a ps4 urgent so I can run away inside these amazing games. I’m not a leader of the guild but I am a long-time member. It’s hard to say whether parents recruit their children to these games or vice-versa! We use TeamSpeak sometimes to chat and organise things (and you don’t need a mic to just listen). Anyway, I hope that helps. If I had one tip I would say that joining a good guild gives people a better experience, rather than trying to play in a purely isolated fashion. Thanks Cirian – I will definitely check that out! Love the images in your post they look enchanting, magical and somewhat haunting. From reading the post you come across as an expert in these games which is great!Your descriptive writing compels the reader into wanting to buy the heart of thorns game. I have never played any of these type of games but now that I have viewed your site I’d love to have a go at playing one of the games. Thank you so much! The artists at ArenaNet have pulled out all the stops for this one, honestly how they think the stuff up and actually get it done is a wonder in itself. If you are new to massively multiplayer online roleplaying games, then I have only one piece of advice: take everything at your own pace and just have fun! You will find all-sorts of people play these games and like-minded people form their own communities and guilds (if you want that), or you can just be the lone wanderer type losing themselves in a strange new land.